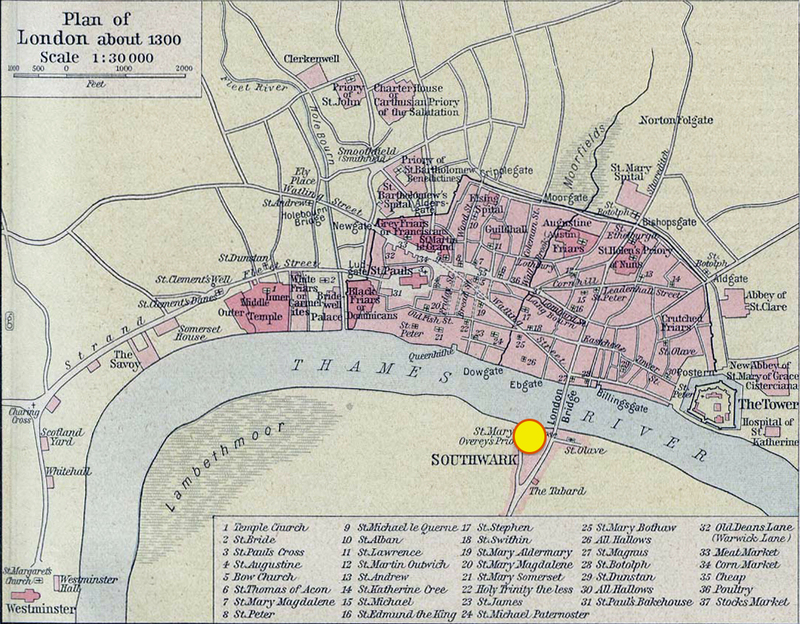 Winchester Palace was constructed on the relatively undeveloped southern bank of the Thames, otherwise known as the Borough of Southwark. Its medieval remains now serve as a popular tourist site in a now well-developed area at the foot of the London Bridge. 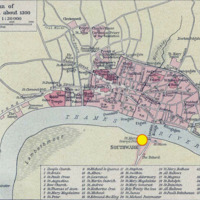 It is marked by the red and yellow circle on the 1300 map. Shepherd, William R. (1926) Historical Atlas. Henry Holt and Company. Public Domain by expired copyright. 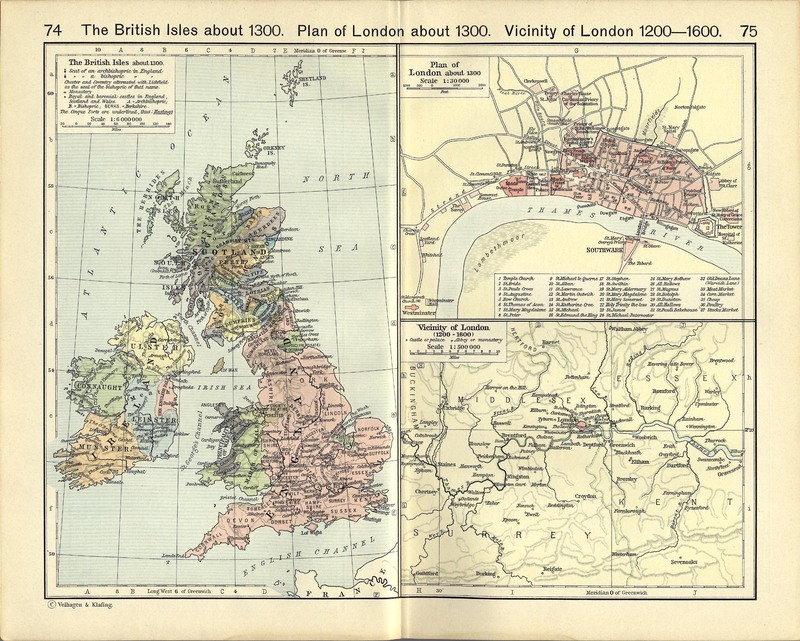 Map by William R. Shepherd, edited by Suzanne Forlenza, “Winchester Palace on map, c. 1300,” Medieval London, accessed April 22, 2019, http://medievallondon.ace.fordham.edu/items/show/136.